As I wrote about the article when it was first published, it is a shoddy piece of work based on old news and unsubstantiated claims from people who believe that their own personal vendetta against the archbishop should be fought in public. It is good to see that the Volkskrant now admits almost as much and publishes the letter from the archbishop, which follows here in my translation. The contents of the publication on the front page of the Volkskrant of Monday 18 April lead me to write a response. Anyone is free to disagree with the policies followed by me as archbishop in the Archdiocese of Utrecht, such as the financial cuts which were deemed very necessary and thus put in practice. The fact that two Catholics apparently turned to the Pope to complain about me will not have dictated the newsworthiness to place the article on the front page. After all, anyone is free to do that as well. The newsworthiness seems to have lain in the nature of the complaints made against me. I have need of a rebuttal in response to a number of evidently false claims which in turn are the basis of a number of complaints, although I can’t respond to all factual inaccuracies in this short letter. I am accused of having hired investigators to search the computers of my fellow bishops while I, considering the autonomy of the dioceses and the lack of hierarchical relations between me and my fellow bishops, in no way have the capacity, let alone the actual opportunity, for that. Such an investigation can therefore only take place if a detective agency would use unlawful means. This serious accusation misses any basis in fact. Since my appointment I gave not a single detective agency any assignment, let alone to investigate the private computers of other clergymen, as I am wrongly accused of in the article. There has also never been any request from my regarding the dismissal of Msgr. De Korte, bishop in Groningen-Leeuwarden. The claim that I fired my “seriously ill financial advisor” is also incorrect. The contract with Mr. Boeser was ended after proper consultation, after Mr. Boeser had recovered from his serious illness for a number of months. In the communications regarding his departure he himself indicated to be ready for a new challenge. I am also wrongly accused of having closed the Ariënskonvikt, the seminary in Utrecht, when this would have been unnecessary on financial grounds, considering an inheritance of several millions. This accusation seems to be based on an e-mail from Mr. Hemels to Mr. Boeser, in which Mr. Hemels refers to the possible inheritance. After having read the article in the Volkskrant, Mr. Hemels has informed the editorial office of the Volkskrant that, in an answer to his e-mail, Mr. Boeser confirmed to him that – sadly – nothing is known of this inheritance. And now here let the whole nasty mess rest. The Dutch Bishops’ Conference wish it to be known that the article of 18 April in the Volkskrant contain a number of manifest errors. 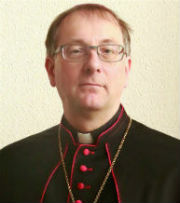 For example, contrary to what the Volkskrant writes, Archbishop Eijk has never submitted a request to the Vatican Congregation for Bishops to have Bishop de Korte of Groningen-Leeuwarden removed from office. In addition, the article claims that “the relations in the Church province have worsened because Msgr. 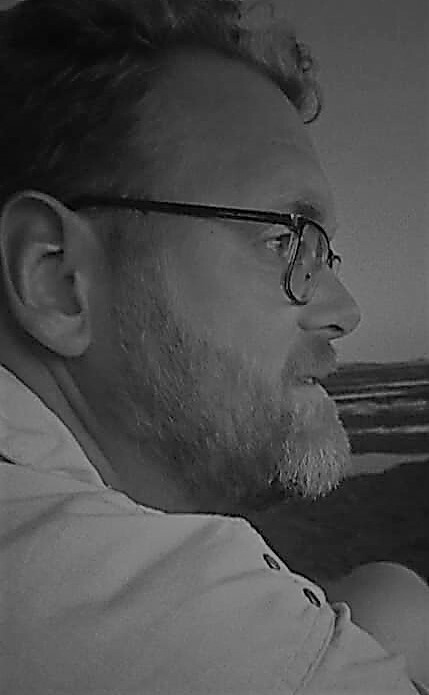 Eijk employed investigators to search the computers of clergymen for information that is displeasing to the archbishop.” This too is not the case. There has been no contact with whatever investigations company, let alone that “Msgr. 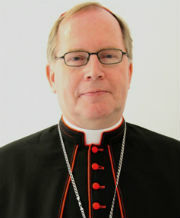 Eijk himself recently sent investigators to his bishops to check their computers,” as the Volkskrant writes. The two sources named in the Volkskrant article, the ladies Stienstra and Schreur, have indicated that the appeal to the Congregation for the Clergy has not been sent yet. It still remains to be seen to what conclusion, if any, this sordid affair will lead. A misleading title, old news and unsubstantiated claims: it must be a Dutch newspaper writing about the Church again. And it is. Daily the Volkskrant devotes some space to a piece informing the readers, per the title, that Catholics think that the pope should call Archbishop Wim Eijk to order. The reason: he has apparently lost all credit with orthodox Catholics. Well, that’s news to me, but once the names of two people showed up in the piece, the claim is understandable. Ms. Nelly Stienstra and Ms. Erica Schruer have a long history of public disagreement with the archbishop, and have often turned to name-calling in blogs and public media. In my humble opinion, these two people are hardly objective sources in such matters. The newspaper piece also presents the orthodox Contact Rooms-Katholieken group, of which Ms. Stienstra is the chair, and the Latin Liturgy Society, of which Ms. Schruer used to be the chair, as credentials, although these groups have either no official standing in either the archdiocese or in Rome, or are simple not involved in these matters at all. A 32-page appeal sent to the Congregation for the Clergy (the current prefect of which, Cardinal Piacenza, has come out in defense of Abp. Eijk before), detailing the reasons why the archbishop should be reined in, is a mysterious document of which the archdiocese’s press chief knows nothing. Some of the reasoning in said document is detailed in the article, although the accuracy seems very doubtful. For example, it mentions that a spat between Archbishop Eijk and the accountant of his previous diocese, Groningen-Leeuwarden, caused the former to request the dismissal of that diocese’s current ordinary, Bishop Gerard de Korte. Other accusations say that the archbishop has ordered the investigation of the personal computers of clergymen – and even other bishops – for information that they are less than positive about him. Both are claims that not only seems quite ludicrous, but also very doubtful when seen in the light of (secular and canon) law. Then there are also claims that the papal nuncio, Archbishop Bacqué, has been mediating between the archbishop and the other bishops in the Dutch Bishops’ Conference. Large financial projects of the dioceses, the article says, are being put on hold because of the archbishop’s behaviour in running the archdiocese. As if he has much of a say in the way other dioceses manage their finances. As for the truth behind the matter? I don’t pretend to know much of it. Certainly, Archbishop Eijk and his way of working are not loved by everyone. But these claims are quite unbelievable when considering the person of the archbishop, the legality of the suggested steps taken by him, the lack of objectivity of the main sources of the story, and the lack of previous news about much of the events mentioned (there is more in it, but that is all old news). Easter is coming. The media’s eye is on the Church even more at this time of year. And people with personal vendettas against prelates and other Church officials use it to win another battle in their ongoing war. Such a pity that the result is such very shoddy workmanship. A very interesting development in the ongoing argument concerning Archbishop Eijk’s decision to fire a volunteer, Ms. Nelly Stienstra, from parish duties, after she had publically made him out to be a liar. As we know she then went public with her allegations, some true, others not, and her lawyer, Ms. Erica Schruer, followed suit by publishing a private letter to the archbishop on her blog. It now becomes clear that the archbishop forwarded the issue to Rome, where Archbishop Mauro Piacenza, secretary of the Congregation for the Clergy, concerned himself with clarifying matters. He sent a letter to Archbishop Eijk, dated 18 January, and that letter has now been released to the public. Here is the Dutch version, and the English translation is at the bottom of this post. The difference in attitude between the archbishop on the one hand and Ms. Stienstra and her advisor on the other is striking. Whereas the archbishop only went public to correct the allegations made against him or to communicate something factual, his opponents published every allegation, private communication and even dragged in other events (such as the consecration of the two auxiliary bishops, other issues in the archdiocese and Church province and even abroad) to take potshots at the archbishop. I wonder what they’ll try next. To me it seems the matter is settled. It’s not a nice situation, but the archbishop was within his rights. According to can. 230, $2 of the Code of Canon Law, “Lay persons can fulfill the function of lector in liturgical actions by temporary designation…” the judgement of suitability for this appointment lies in the first place with the diocesan bishop and only subordinately to the priest who performs pastoral care for the community he is responsible for “under the authority of the diocesan bishop.” (can. 519). Since, as can. 838, $1, says: “The direction of the sacred liturgy depends solely on the authority of the Church which resides in the Apostolic See and, according to the norm of law, the diocesan bishop.” The regulation of the holy liturgy is solely submitted to the authority of the Church. In a specific Church it is the diocesan bishop who, iure nativo, is repsonsible for the liturgy, he regulates is and at the ministry of the sacrament (cf. cann. 838 $1 and 4, 841). 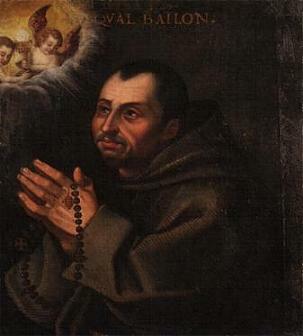 Since the faithful, “even in their own manner of acting, are always obliged to maintain communion with the Church” (209, $1) and “are bound to follow with Christian obedience those things which the sacred pastors, inasmuch as they represent Christ, declare as teachers of the faith or establish as rulers of the Church” (212, $1), is, seen in this perspective, he who incites a hostile attitude, in word and deed, to the bishop, clearly not suited for the role of lector in liturgical acts. The bishop can very well take comparable steps, since he “is bound to promote the common discipline of the whole Church and therefore to urge the observance of all ecclesiastical laws”(can. 392, $1) and “he is to exercise vigilance so that abuses do not creep into ecclesiastical discipline, especially regarding the ministry of the word, the celebration of the sacraments and sacramentals, the worship of God and the veneration of the saints…” (can. 392, $2). Posted on February 15, 2010 February 15, 2010 Categories Catholic Church in the NetherlandsTags annotated article, archbishop mauro piacenza, archbishop wim eijk, bishop ad van luyn, bishop gerard de korte, code of canon law, congregation for the clergy, erica schruer, nelly stienstra, translation1 Comment on Settling the matter?